One of the more tangible traits amongst cable engineers is their knack for identifying critical trade-offs. This usually involves reaching both arms deep into the goo of the new stuff, and plucking out the big components — of cost, strategic importance, or both. Finding relevant trade-offs, in turn, helps finance people to build cost models, and helps marketing people figure out how to make service bundles, and so on. A consistently rich source of trade-off talk is the National Cable Television Association’s annual compilation of technical papers. If you’re into immersion learning, it’s a defensible way to spend $50. Be forewarned, though: It’s advanced class stuff, packed with particulars. Remember that it’s the trade-offs that matter. It’s also an annual practice for this column to highlight the one or two stand-out papers in the bunch. This year, though, 11 made it into the “Hmmph! Interesting!” pile. From those, seven stood out as must-reads. They are (briefly!) encapsulated here. Because it stops a few inches short of being an official announcement that Comcast will become a service bureau to help small operators do separable security and OCAP, we’ll start with the paper written by the Comcast Media Center’s Gary Traver and James Capps. By pooling resources, small systems attached to a centralized service bureau can move (and spend) like a single, large installation of equipment and applications, the authors propose. Next is a 20+ page, deep-dive treatise on the trade-offs between WiMax and fixed-line broadband technologies, written by Comcast CTO Tony Werner and his former college, Tim Burke, VP of strategic technology for Liberty Global. It’s hard to jump-cut to the end of this one — pretty much anything you ever wondered about WiMax is answered within. WiMax is flexible, but complicated; it can be optimized for capacity or coverage. Don’t believe everything you hear about WiMax speeds; learn why by reading the paper. Bottom line: WiMax is good for dense markets, where no competitors offer broadband services faster than 3 Mbps downstream, 256 kbps upstream. Maybe you heard this one at the show: “PON,” pronounced “pawn,” and usually proceeded with a letter: “E,” for Ethernet; “B,” for “Broadband,” and “G,” for Gigabit. The “PON” stands for “Passive Optical Networks.” All in, it’s the language of fiber-deep architectures. In this year’a tech papers was a related theme: “Making FTTH Compatible with HFC,” written by Wave7 Optics’ Jim Farmer. In it, he makes a case for taking fiber all the way to homes, in all new build/green field situations. He also explains how fiber-to-the-home is different than traditional hybrid fiber coax architectures. Mostly, know that Jim Farmer is a well-established cable engineer, who just happens to also be an expert on what telcos are building and buying. Wondering how advanced video compression will fit into the near-term landscape? Check out two papers: “The Future of Transcoding — The Need for MPEG-2 and MPEG-4 to Coexist,” from EGT Inc., and “Switched Unicast via Edge Statistical Multiplexing,” by Imagine Communications’ Ron Gutman. And, of course, there’s the inevitable dose of IPTV-talk. This year, that topic comes from Big Band Networks — a bit of an eyebrow lifter on its own, because the company is mostly known for its work in digital video switching, within the “traditional,” MPEG-based transmission network. Last but not least: “The Bright Side of DRM: New Business Opportunities,” written by HBO’s Bob Zitter and Craig Cuttner. In a short-and-sweet 3.5 pages, the authors propose that we all stop looking at digital rights management as a barrier, but instead view it as an enabler. 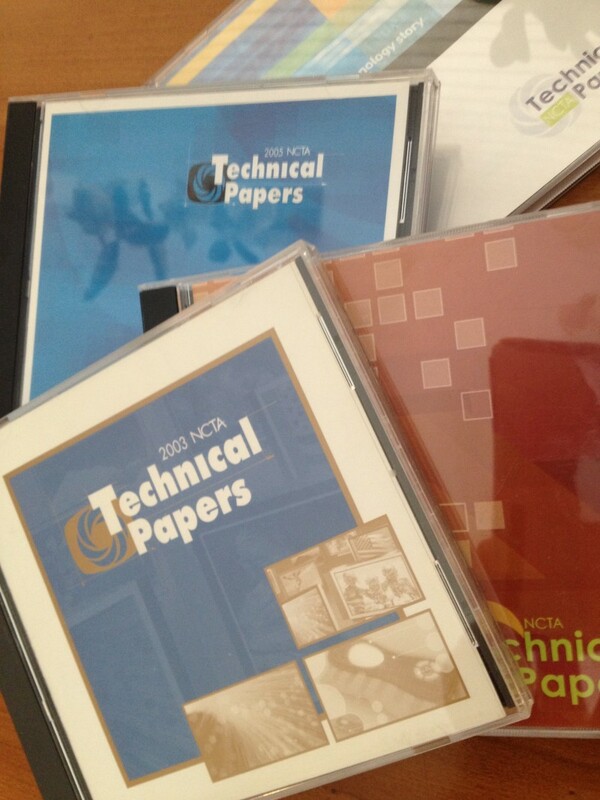 That’s the real-short on this year’s NCTA Tech Papers. To get your own copy, go to www.NCTA.com. This column originally appeared in the Technology section of Multichannel News. This 2007 Cable Show discussion with Comcast CTO Tony Werner concludes with a discussion of the company’s voice product, the benefits of DOCSIS 3.0, and what products Tony hopes to see on the trade show floor. Leading into the 2007 Cable Show, I sat down with Tony Werner, CTO of Comcast, to discuss some of the hot issues of the time: Switched digital video, HDTV, and OCAP. The technical specification known as “OCAP” — for “OpenCable Applications Platform” — shape-shifted into a more tangible realm last week, as developers gathered for the first time to see how and when they can build interactive services for cable operators and program networks. Among the takeaways: “Bound” applications, meaning those that correlate with a specific television program, are probably the sweet spot for developers. “Unbound” applications, like those that are invoked by a particular button on the remote (“menu,” “guide”) and have nothing to do with what’s on the screen, are harder, because they tend to entwine with back office systems. A quick review: OCAP, one of the more awkward of the spoken cable acronyms, is a way for a software developer to make a product that works “on cable — meaning, not for Comcast in one iteration, and for Time Warner in another. One subset is “ETV,” or “Enhanced Television,” which targets older and underpowered (relative to advanced boxes) set-tops. Another is Cox’s “OnRamp to OCAP,” which also targets legacy devices. Both variants can accomplish unbound applications, but are more focused on bound, or “cooperative,” services. As for timing: Comcast is saying “80% by ’08,” meaning that 80% of its footprint will be OCAP-capable by the end of next year. Time Warner is already taking delivery on OCAP-style boxes. Cox is gearing up for five market trials by the end of this year, and national support by the middle of ’08. Much of those decisions relates to the brand of boxes operators plan to install. Time Warner, which operates a footprint that is 70% Scientific-Atlanta and 30% Motorola, said during the conference that the latter manufacturer is “a little late” — trial-stage by the end of this year. Comcast, by contrast, is 70% Motorola; Cox’s footprint is a 50/50 mix of both providers. This matters because the point of OCAP is to remove those constraints for developers, so that they no longer have to worry about how to make code that works on this or that hardware environment. Also new: the notion of “destination advertising,” where viewers are led (by an interactive trigger) to a specific place — like a longer ad stored on a VOD server — to learn more about a product of interest. Cable executives present at the meeting urged developers to recognize that the applications they pitch need to be re-pitched internally, before a go/no-go decision is made. Translation: Help operators to sell the idea internally, by justifying the business case. They also sounded the long-running plea for simplicity. “The more interesting you think you’re making it, by adding features, chances are you’re making it more confusing for the consumer,” noted Gerard Kunkel, president for GuideWorks. What happens now? A multi-MSO test of ETV-based applications is planned by CableLabs for this fall, and developers were urged to participate. 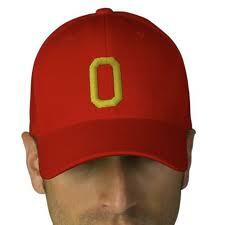 On the tactical front, operators will continue to ready their headends and spec their set-tops for OCAP. With the shouted caveat that as soon as you say “the year of” anything, it slips — it’s nonetheless looking like next summer when the fruits of OCAP and ETV start becoming noticeable in consumer homes.